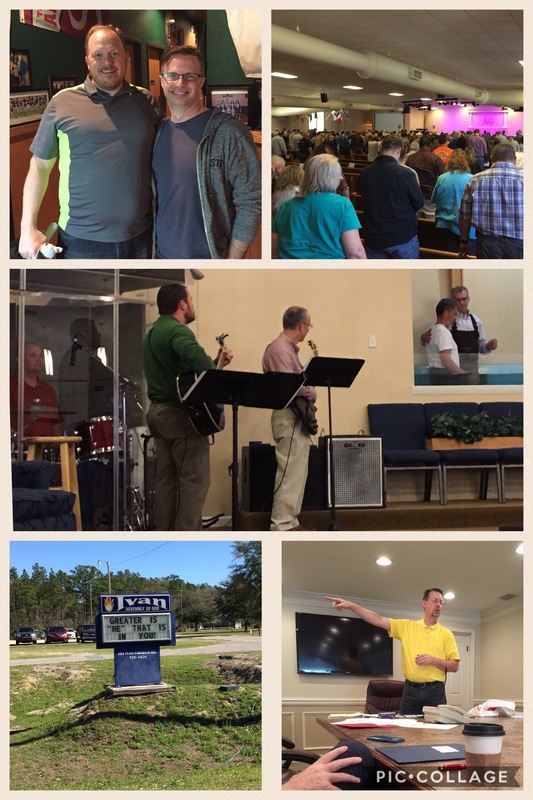 This past weekend, I had the privilege of ministering in at the church ministries conference for the West Florida Assemblies of God in Marianna and at Ivan Assembly of God in Crawfordville. Along the way, I also got to visit with my sister, one of my cousins and an uncle and aunt. – I was inspired by how my family loves, serves and gives. – I was inspired by the authenticity of the leaders like Tommy Moore, Mark Jakelsky and Craig Hicks whom I had the privilege of spending time with at the conference. – I was inspired by a loving, faith-filled pastor and his wife in Dan and Gloria Cooksey. – I was inspired by a lively, fun, joy-filled and sincere group of people who gathered to worship and seek God at Ivan A/G. – I was inspired by PR31 who keeps the home fires burning & the momentum of family maintained while I’m gone in ministry on trips like this. I love being inspired. It makes me believe there is a better version of me which can be attained and which could inspire others. So thanks to those who inspired me this past weekend! I’ll be better this week as a result. Prev Post: Opposition or Opportunity?